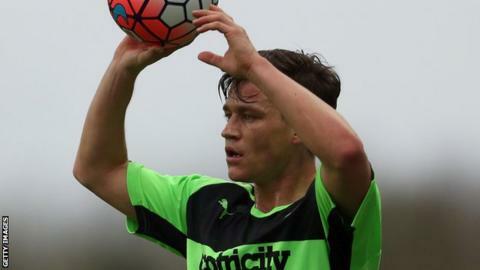 Left-back James Jennings has joined promoted Cheltenham Town from Gloucestershire rivals Forest Green. The 28-year-old left Rovers after their National League promotion final defeat by Grimsby earlier this month. He made 33 league appearances this season, scoring six goals from defence, and has previously played for the likes of Cambridge and Mansfield. "I spoke to Gary last week and was delighted to join a great club, moving in the right direction," he said. "There was interest elsewhere but when I had a good couple of hour chat with Gary last week and was happy with his vision."